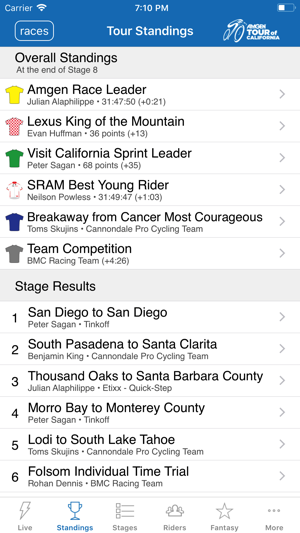 Follow the Amgen Tour of California men's and women's races with our official mobile application, the Amgen Tour of California Tour Tracker. 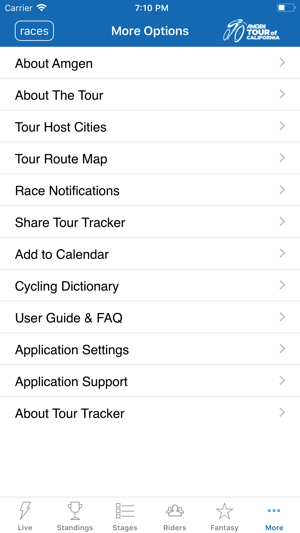 Tour Tracker combines live video, GPS tracking, text commentary, photo feeds, tour standings, stage previews, results and more. 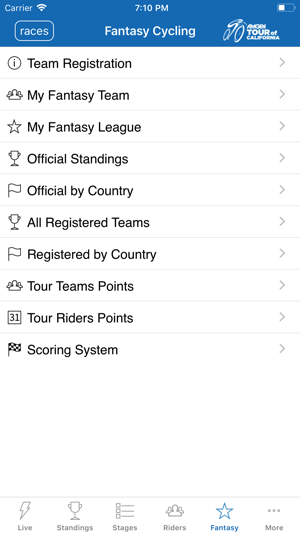 No matter where you are, with Tour Tracker you are part of the action. 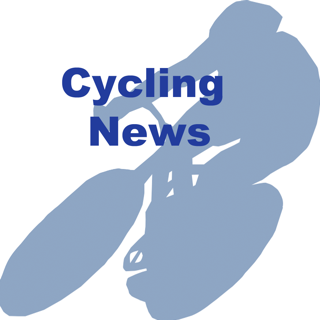 We are excited to again provide coverage of the Amgen Tour of California Men's Race and the Amgen Breakaway From Heart Disease Women's Race Empowered with SRAM. Like the watch replay on video also. If the TDF had this I’d get no work done in July . 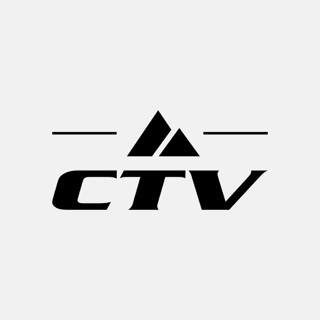 Suggestions would be to add a video recap or summary for the day. Maybe highlight real or a good ten or twenty min video . 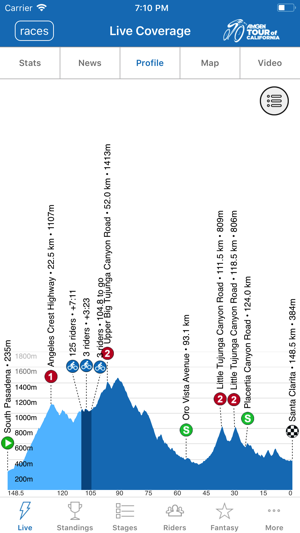 Honestly I skip some sections when watching replay so adding that would help to not miss the high points . 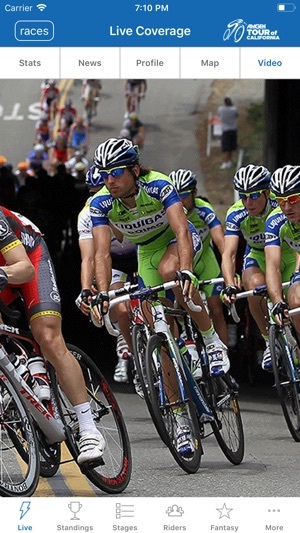 I started learning about the Amgen Tour when I did the Tour of Long Beach then went back the next day to watch these pro’s ride and OMG!!! 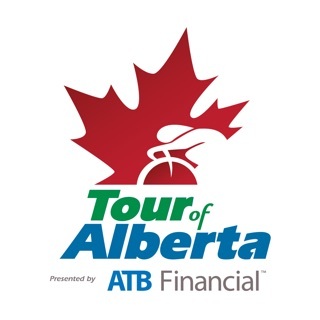 I have already decided that next year I will be taking off work to follow the Tour. 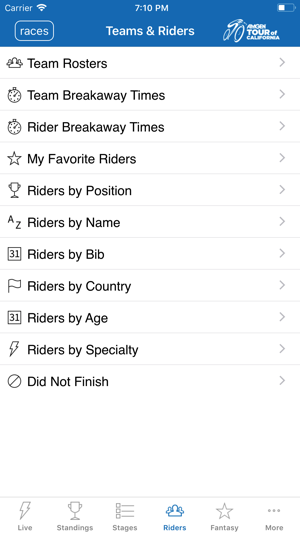 The app that you have made it easy to follow and keep up on the Riders and the Stages. Thanks for helping me feel like I am right with the Tour. 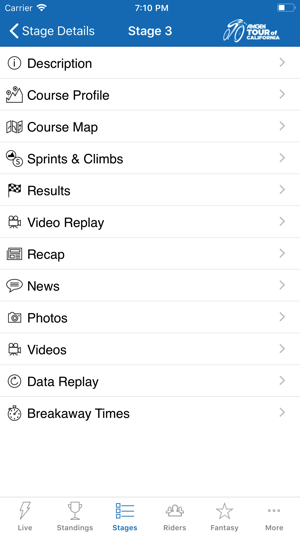 This is the new best way to follow cycling! 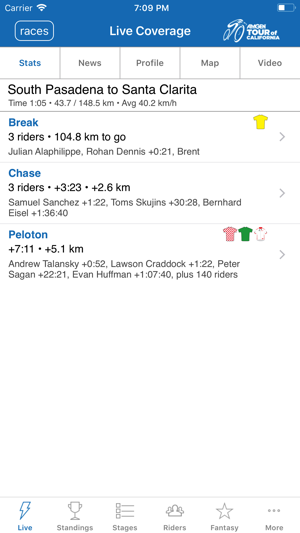 I track my favorite cyclists (Peter Sagan & Americans) and can get a whole spread of the action. You can cross between the action and the standings with the swipe of a finger. 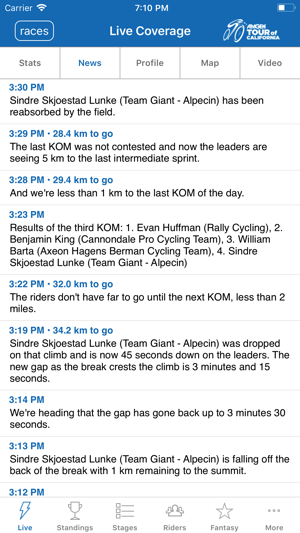 Only improvements I would say is updating the standings live (in KOM and Green jersey) and allowing for earlier live video.